AC 360° Live in Afghanistan! According to unsubstantiated speculations, Mr. Cooper traveled to Afghanistan yesterday shortly after reading this post on Safrang lamenting American negligence of the struggle in Afghanistan. As a reminder of how bad things are, upon landing his team was was greeted by an IED explosion in Kabul. Anderson Cooper is joined in Kabul by his colleague Nic Robertson (normally based in Islamabad) and CNN terrorism analyst Peter Bergen. 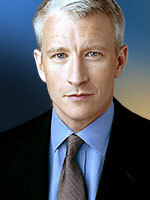 Tune in to AC 360° this week (10pm to midnight ET, M-F) and follow AC 360° blog -already there is a post there by Anderson Cooper about the growth of kidnapping in Afghanistan. According to AC 360° Blog, tonight’s show (Monday) will focus on coverage of the shooting incident on the campus of Virginia Tech. As an international student who spent four years on an American college campus I was shocked by the incident and anguished by the loss of life. I am not aware of AC 360°’s new programming and whether they will continue their reporting from Afghanistan. I will try to post another update here if that is the case. You are currently browsing the Safrangُ blog archives for the day Monday, April 16th, 2007.